Hon. 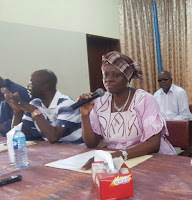 Sylvia Olayinka Blyden is a medical doctor, former journalist, newspaper publisher, and the current Minister of Social Welfare, Gender and Children Affairs. She served as Special Executive Assistant to President Ernest Bai Koroma from 2013 to 2015. I spent my morning at my office at New England Ville handling various issues like speeding up payments long overdue (once again) to the hardworking women who sweep the streets of urban Freetown. I have assured the over 500 women that they will definitely get their stipends tomorrow. Then I drove three hours up North to spend my afternoon in Makeni giving a goodwill message to women of Bombali as my ministry re-launches the Community Wellness Advocacy Groups (CAGS). In my speech, I highlighted how CAGS compliments the free health care programme. 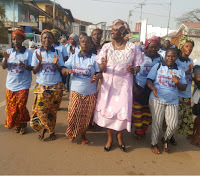 As over 100 traditional birth attendants (TBAs) from across Bombali listened, I used the chance to lament the manner in which the Northern Province, since colonial days, has been suffering from a disproportionate lack of social services as compared to other parts of Sierra Leone. I said that this was the primary reason why the North always had the highest percentage of any index measuring negative human development. To combat this patently unfair allocation of social services is one of the reasons (for) the soon-to-be-proclaimed “Re-division of Sierra Leone Administrative Boundaries” by His Excellency (President Ernest Bai Koroma). 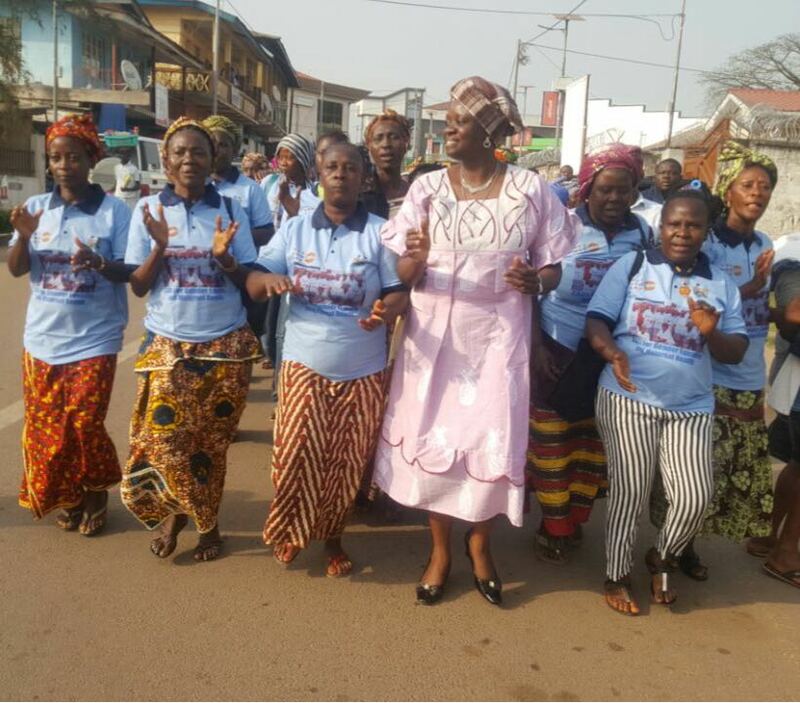 After the event, I led our TBAs and community activists in a joyous parade through the streets of Makeni. We had a lot of fun singing and dancing traditional songs. 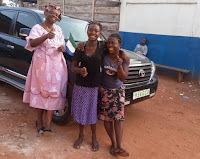 Before returning back to Freetown, I also found time to visit Mamie Sam and her mother at their temporary location in Makeni. Mamie, whose hormonal imbalance causes her breasts to overgrow, is a charming girl and obviously deeply attached to her mother. She is actually only 11-years old despite her rather tall height. I also think that it is pertinent to note two points. Firstly, my Ministry learnt about Mamie Sam at the same time the whole world did - via a social media update of journalist Saffa Moriba. That was last month. The other point is that Mamie Sam and her mother are deeply attached to one another. Their emotional bond is amazing to watch. I feel so proud to be leading a Ministry that has ensured ill-motivated persons who used a child to score cheap political points did not deprive a poor woman of love of her child. The recent radio broadcast of a voice purporting to be Mamie Sam saying she does not want to be with her mother, should be treated with the contempt it deserves. I'm back in Freetown preparing for another long day tomorrow. Sylvia Olayinka Walmina Oreshola Blyden (born October 1, 1971 in Freetown, Sierra Leone) is a Sierra Leonean medical doctor, former journalist, political commentator, newspaper publisher, and the current Sierra Leone minister of Social Welfare, Gender and Children Affairs. She served as Special Executive Assistant to President Ernest Bai Koroma from 2013 to 2015.